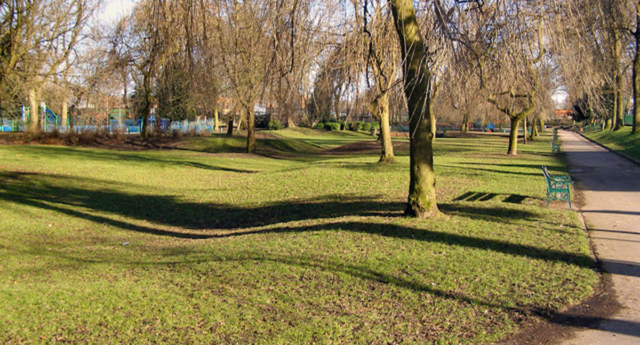 A teenager was hospitalised after challenging a gang for hurling “vile homophobic abuse” at him in a park in Bury, Greater Manchester. The 15-year-old boy was assaulted in Manchester Park Road at 3.30pm on Monday (February 11), according to Greater Manchester Police. Greater Manchester Police said he was walking along Manchester Road when a group of man started shouting homophobic slurs at him. After the teen “challenged his abuses,” police said, he was assaulted by the gang in Manchester Road Park. He was taken to hospital and later discharged. Police described the assault as a “hate incident” and are appealing for information. The force has arrested one man in connection with the attack. Phil Spurgeon, a chief inspector at Greater Manchester Police’s Bury division, said: “This was a cowardly attack on a young man who was subjected to vile, homophobic abuse. “After challenging his abusers, he was then assaulted by a number of offenders and had to be treated in hospital for his injuries. “We are treating this offence with the utmost seriousness. “We will not tolerate hate crime and will do everything in our power to apprehend offenders. In a separate incident in Manchester in July, a man, who was kicked and subjected to an anti-gay slur, was jailed for 12 years for running over the man he had been arguing with in the city’s Gay Village. Aaron McDonald, 31, had rowed with another man in Bloom Street, during which he was kicked and called a “f****t boy,” reports Manchester Evening News. The court heart how McDonald had then walked away, before getting into his Vauxhall Corsa, which was parked nearby. He then drove his car at a group of pedestrians, including the man he had argued with. The 31-year old continued driving, even after the man was thrown onto his bonnet.